What is for dinner tonight? Well, at my house it will be Brazilian-Style Pork Ribs… Oh, yes! I am counting the minutes with anticipation. It has been quite a long while since I last had Brazilian-style pork ribs — or at least one of the several styles of ribs that exist in my home country. 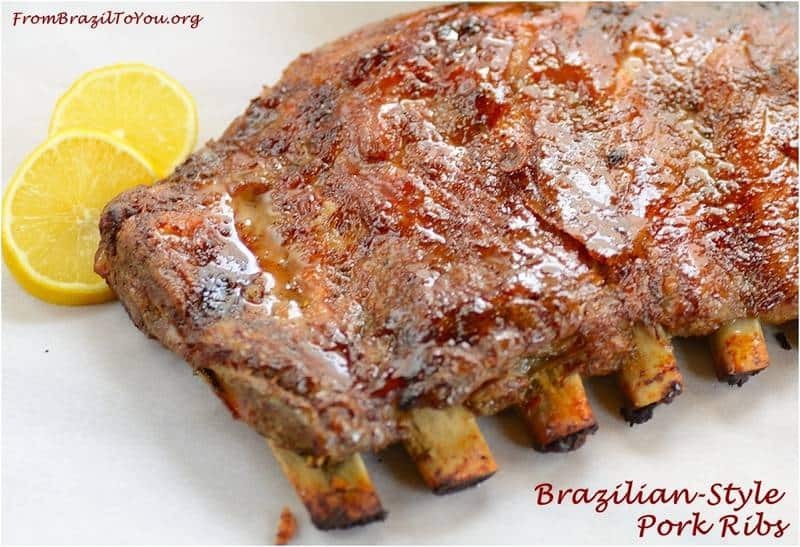 There are a variety of ways to both marinate and cook costela de porco (pork ribs) in Brazil. The most famous is the costelinha de porco à mineira — a typical dish from Minas Gerais state– which is cut, seasoned, and stir-fried, and the subsequently mixed with a corn dish called canjiquinha (a course ground corn – called xerém in the Northeastern Brazil– that is cooked like polenta). When not prepared Mineira-style, the pork ribs can alternatively be prepared in a pressure cooker, grilled, deep-fried, or braised in the oven. Since we decided to leave ours whole and it is still cold outside, we’ll be preparing these pork ribs in the oven instead of on the barbeque grill. In this way, these pork ribs can be enjoyed all year round regardless of the weather. We suggest to serve our pork ribs accompanied by polenta and couve à mineira. I can already envision the huge smile stamped on my hubby’s face — and on mine as well. Boy, how I love these pork ribs!!! I hope that you love them as well. ** If you do not like hot/spicy food, skip this ingredient. Process or blend the first 10 ingredients in a food processor or blender until obtaining a homogeneous mixture. Put the ribs in a large, deep rectangular baking pan, spread the mixture over the ribs and marinate for 1 hour at room temperature. Cover pan with aluminum foil, tightly sealing its edges so that steam will not escape (the ribs will braise in their own liquids and the marinade). Then, let ribs cook in the oven for approximately 1 hour and 50 minutes (25-30 minutes per pound or 1/2 kg). Reserve the drippings/remaining marinade from the bottom of the pan and then transfer ribs to another large baking pan . 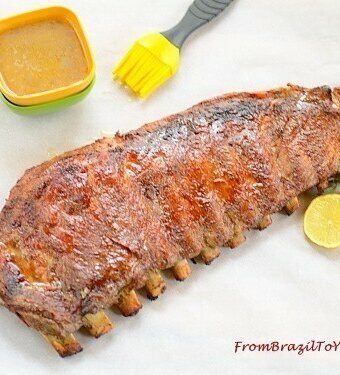 Brush top of ribs with the oil (and then, honey if desired) and increase oven temperature to 425º F (220º C). Leave the pan uncovered this time and roast ribs for 10-25 minutes or until golden brown. Brush/baste the ribs with the reserved drippings/marinade from the first pan and let sit for 10 minutes before serving. Serve pork ribs accompanied by polenta and couve à mineira. NOTE: If you are not overly concerned about the visual appearance, you can leave the pork ribs braising in the liquids/drippings for an additional 10 or 15 minutes before caramelizing which will result in an even more tender cut of meat. 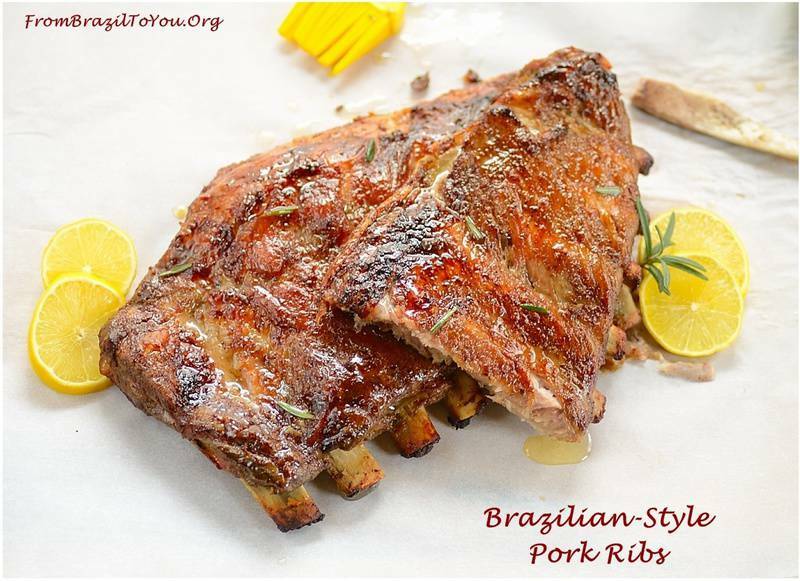 Although in Brazil we don't use honey with meats, I love to brush my pork ribs with it because it gives a great balance of flavor to the pork ribs. OMG….Denise, now I have to send my address so you can send to me some pork ribs…!!! We don’t eat pork so I’ll never know how they taste! However, reading through the ingredients, there isn’t one spice I don’t like. Maybe I can just do a rub on some chicken or even beef ribs. They look great regardless! I do understand. You can make this marinade and spread on beef short ribs — or even chicken. This looks so interesting! I am always looking for ways to cook ribs in a way other than just BBQ. Does this “Brazilian-style” recipe result in a substantially different flavor than just a regular BBQ? Thank you for visiting me, Maureen! I am forwarding this recipe to my Mom… she is going to LOVE YOU! Thanks, Kate! I hope your Mom enjoys it. My family and I are crazy for it. This is absolutely full of flavours…apple cider vinegar, Worcestershire sauce…rubbed in with the pork ribs will definitely create a heavenly experience. I am salivating! Thank you, Purabi! Both my husband and children are crazy for this. tried this ribs just now and in all honesty not the best i’ve tried or not the best i’ve cooked. the taste is not to my liking. don’t know if i am missing something but i followed the ingredients/instructions to a T but not liking it. i used to cook texas dry rub pork ribs and that’s my favorite. in fact it’s the most requested food every time i will throw a party. maybe some people like the combinations of ingredients but there’s something to it that not my taste. sorry – i saw your recipe and picture and that’s what pulled me into trying it. but…. No problem, Victor! Everyone has their own taste. My family and I personally love these ribs but we cannot expect everyone does. I prefer mine spicy and with honey like I suggested in the recipe otherwise I think something is lacking. My children prefer them no spicy and my husband like them anyways. I have friends and other people that liked them. So yes, everyone has their own taste — to like or dislike them as any other recipe! Have a great week! So glad you enjoyed this recipe. 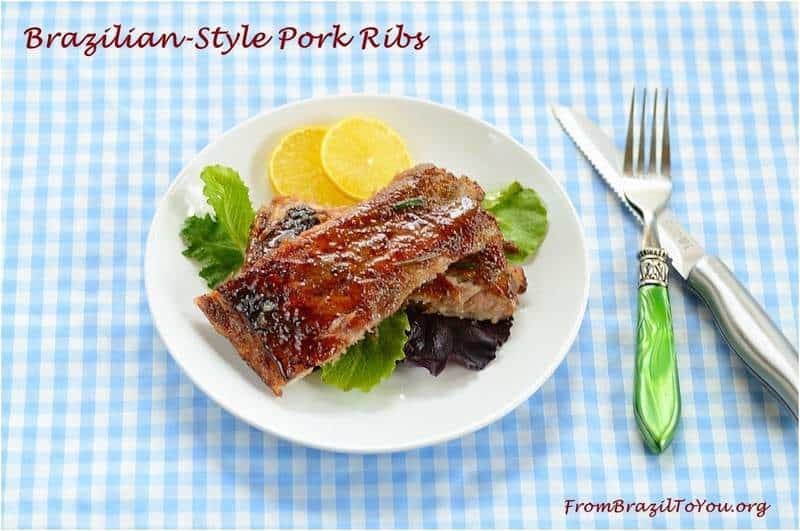 It is one of my family fave pork recipes.